I chanced upon Thai Gold Food quite a few years back when I was around Sunshine Plaza and had totally forgotten about it. 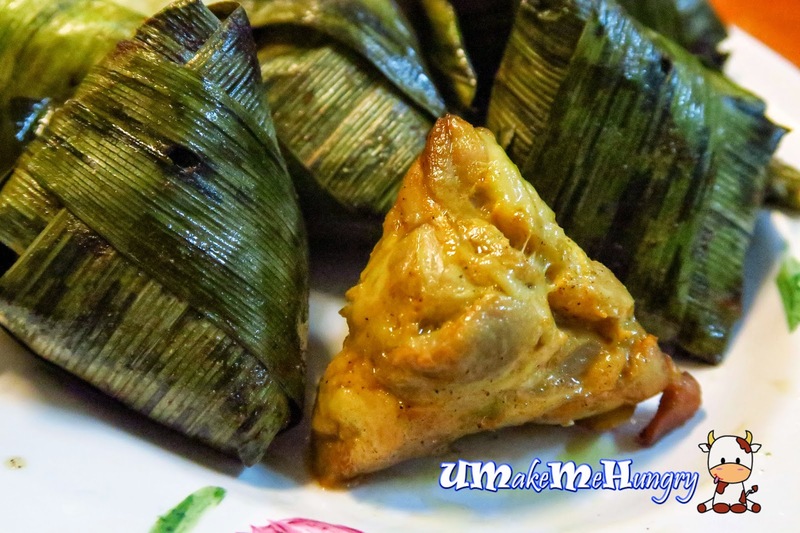 And just sometimes back, I happened to see some of their food posted online by fellow netizens and since I was craving for some Thai Cuisine, I thought it will be good to have my gathering in Thai Gold Food. 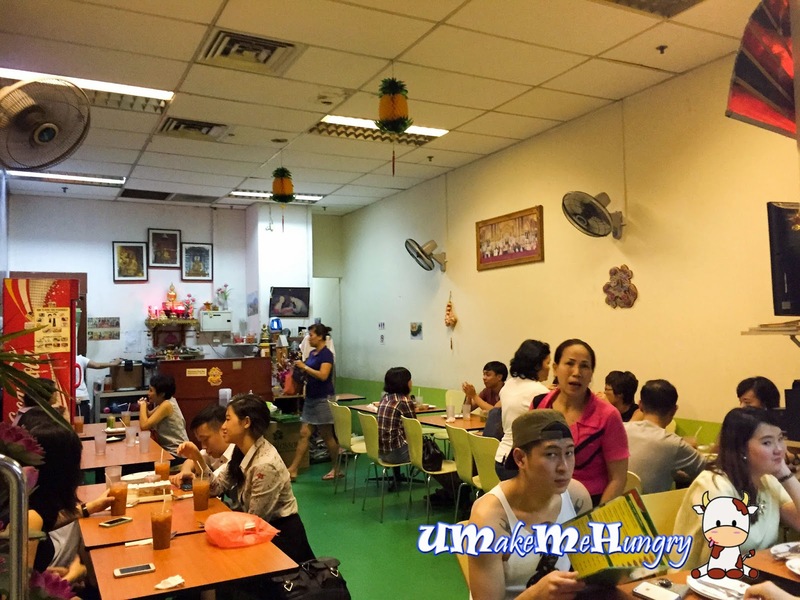 Thai Gold Food environment is a rather down to earth and simple eatery without having too much decorations. 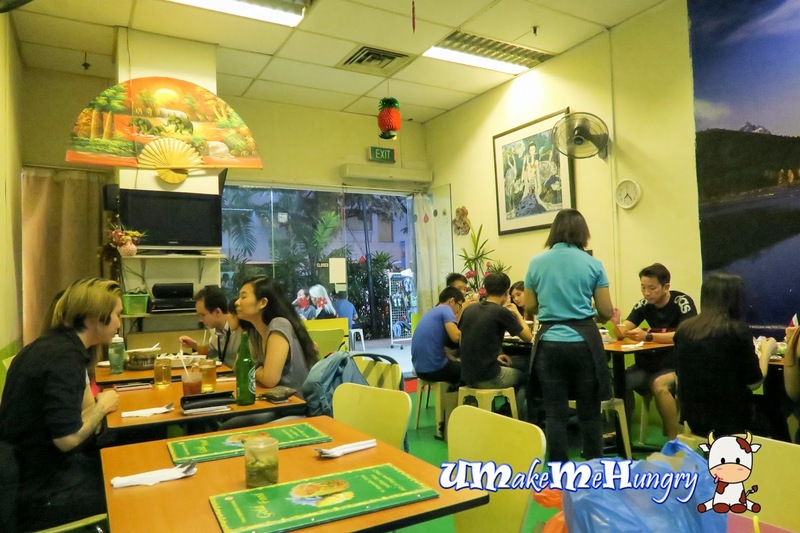 Instead, the Chinese Thai Food Eatery as hanging paper pineapples and some old looking chinese new year decorations hanging from their chip board fore-ceilings, thus don't expect dining in those fanciful modern Thai Restaurants. 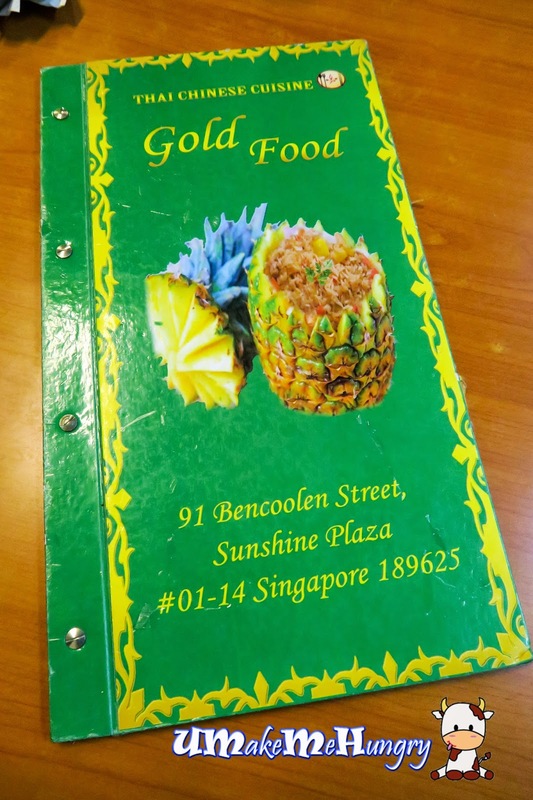 The menu of Thai Gold Food was long and comes in hard cover form. As you flipped the cover page, you will find that the illustrations of the dishes on the picture was not really clear as the graphics were distorted. Thai Ice Lemon tea was a tad bitter and sour. 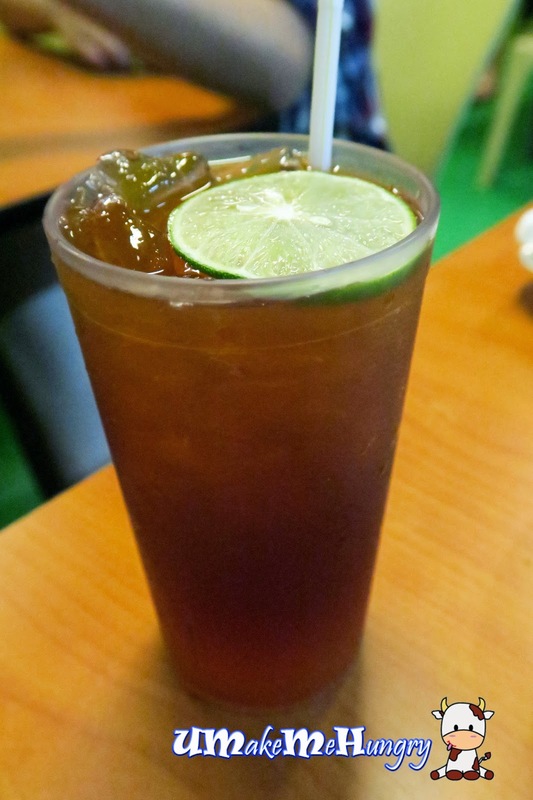 I guess this is how the Thai style lemon tea drink is all about. 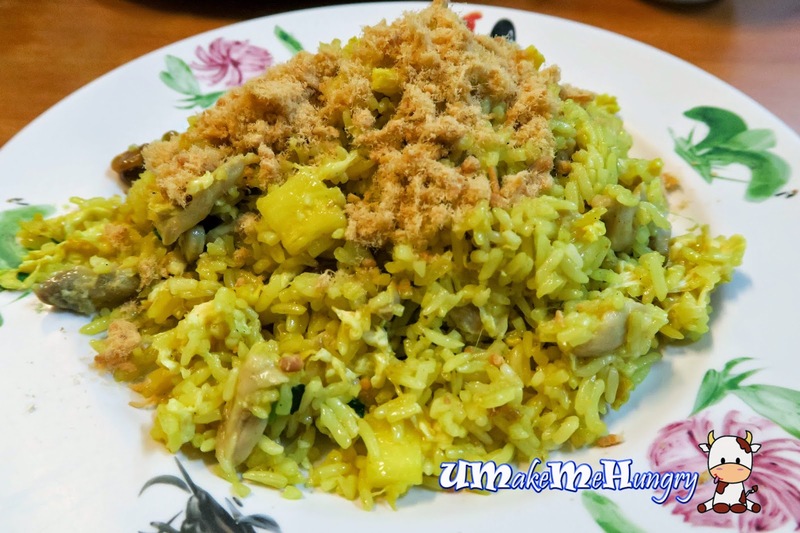 Pineapple fried rice with chicken comes with floss on the top and was pineapple cubes were found amongst the luminous bright yellow rice. The coloring on the rice was quite overpowering and totally not my style. Disappointing. 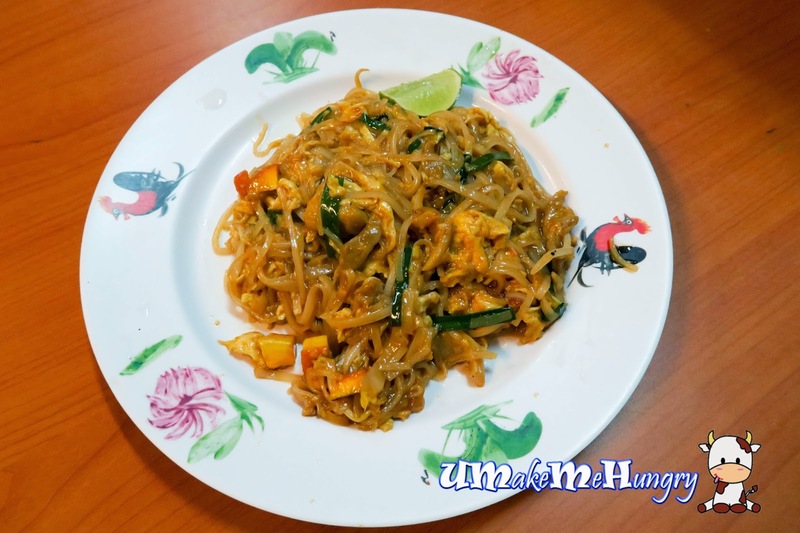 The presentation of phad thai was gluey and looked too moist in the serving. 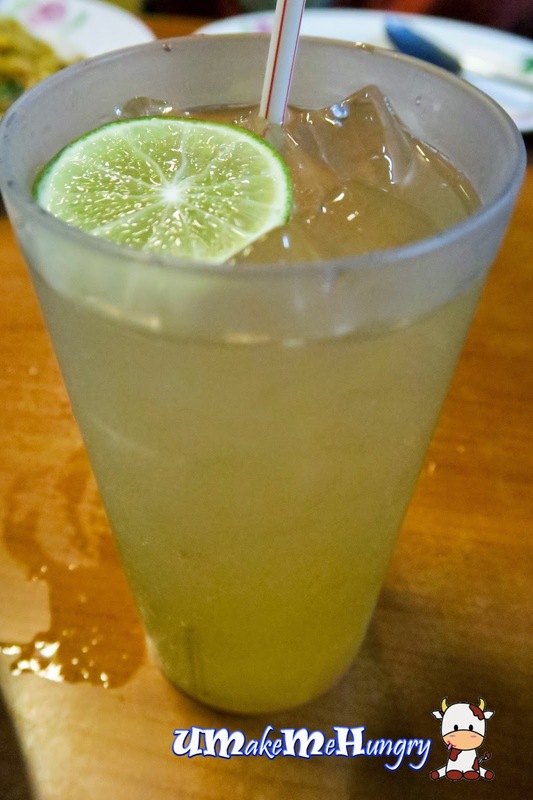 I find the dish rather salty and a trick to reduce the saltiness is to squeeze on the lime all over on the dish and mix them well. 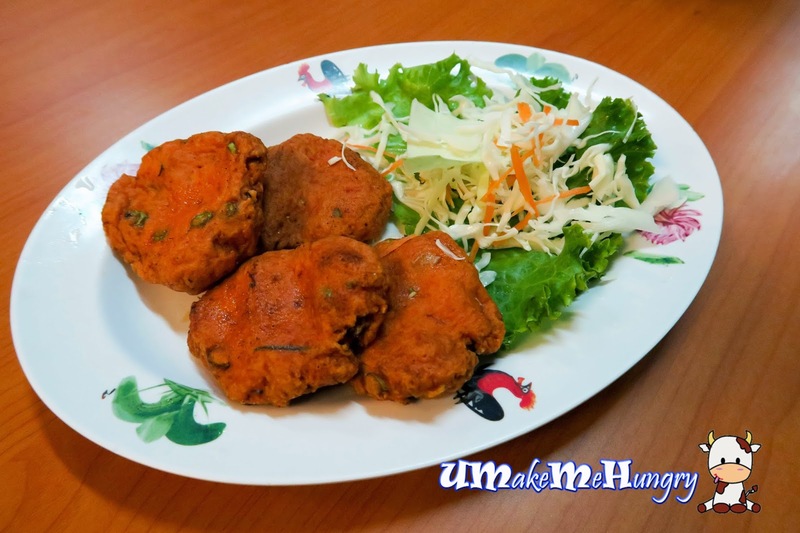 The Thai Fish Cakes come in a serving of 4, orangy in color and best to pair with their sweet and sour thai chilli. Fish cakes were springy, however there is a strong fish smell which some of us could not really take it. We have the clear version to the red version as one of us did not like coconut milk. 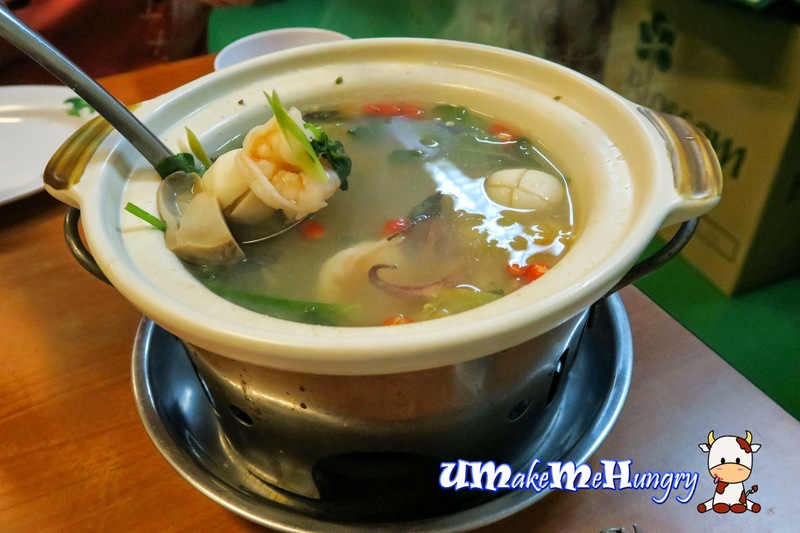 The seafood version of Tom Yum Soup has prawns, fish slices, fishballs, sotongs and mushrooms in it. 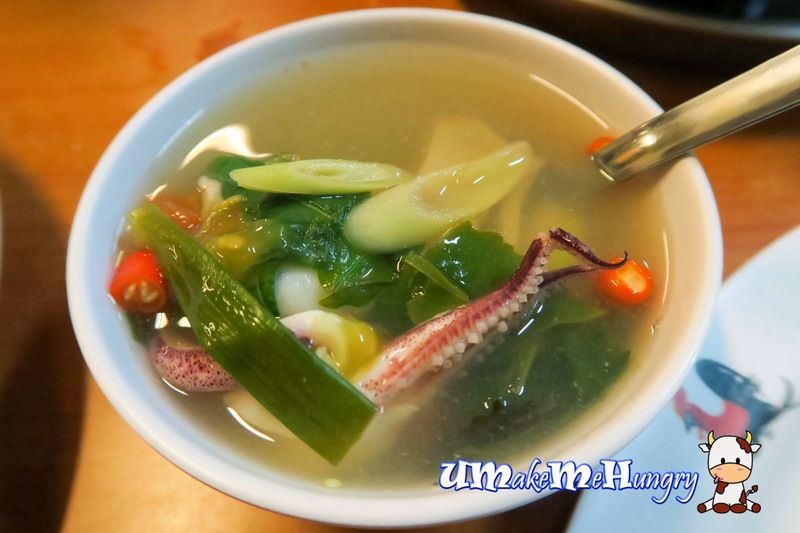 It's quite decent and rated one of the best dishes out of all. Spice level still fall within acceptable range and not too bad. 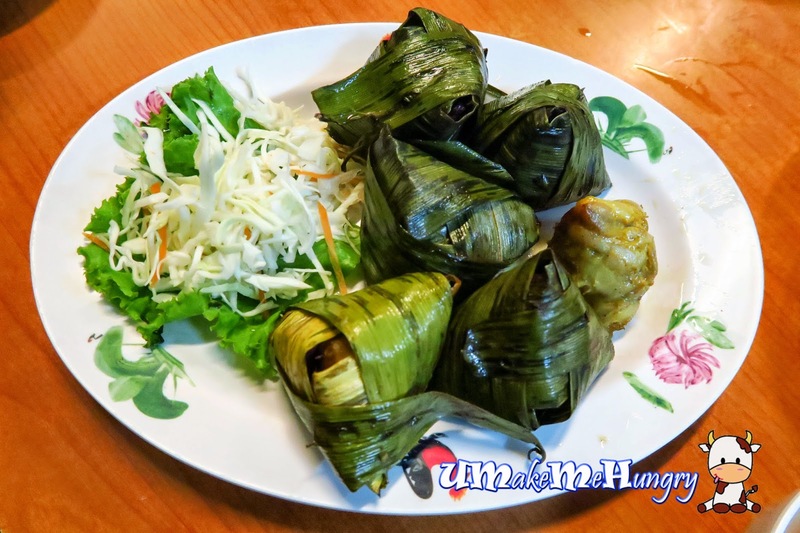 The pandan chicken were well wrapped and seated in the leaves, reminding me of little version of dumplings. Chicken marination was good but not to die for. Overall standard is mediocre, it was a disappointing dinner. Perhaps I shall look around for some my Thai Cuisine Fix.